We were lucky enough to have Dell’Ugo get in touch with us, presenting us with the opportunity to try their new chilled pasta range. 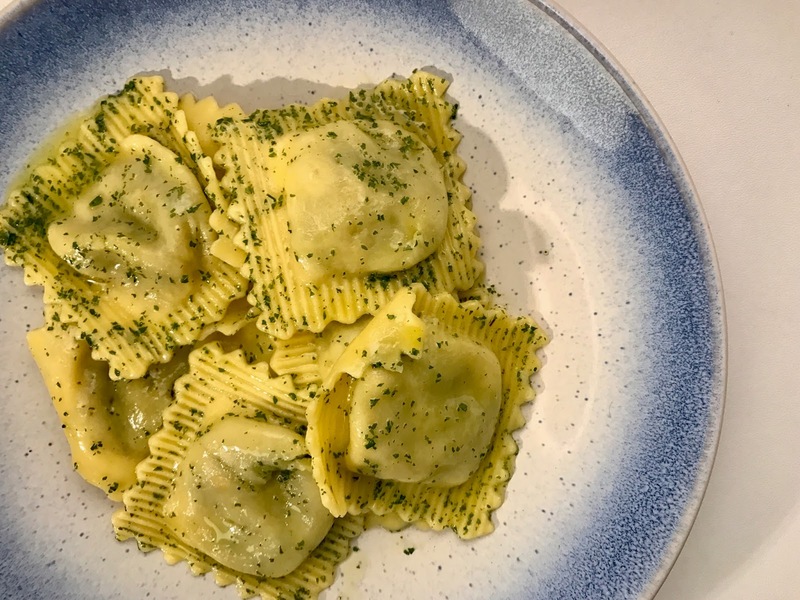 They are looking to disrupt their market with a concept as fresh as their produce – to be able to have restaurant standard pasta, all in one packet, and be able to have it cooked and served in under 5 minutes. 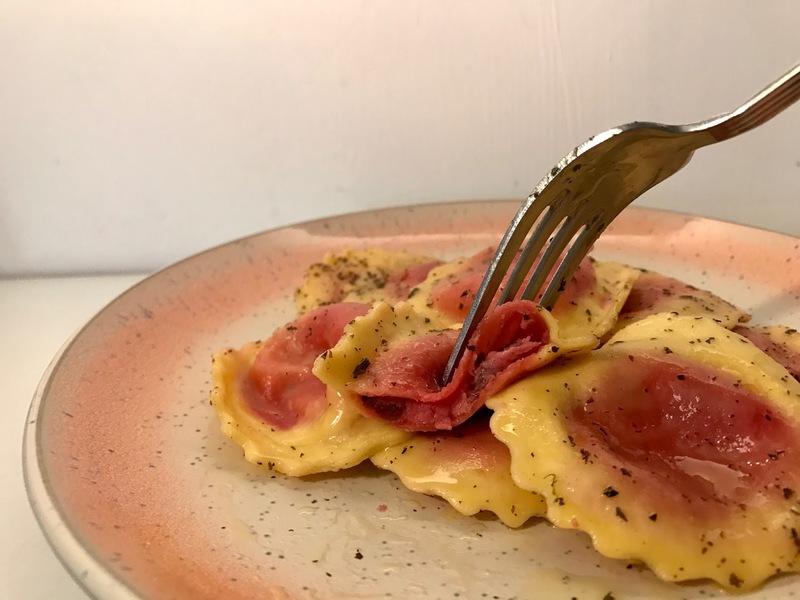 Dell’Ugo are actually the longest established pasta brand in the UK, creating delicious and innovative pastas using only the freshest ingredients from 1929. 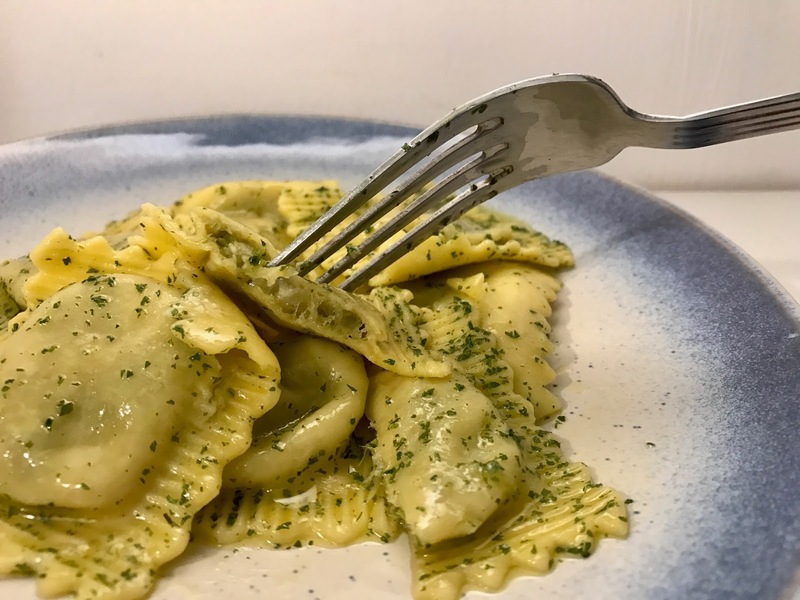 As well as having some delicious and unusual flavoured pasta in the pack, which can be bought from Waitrose/Ocado for £3.99, the dish is completed by melting butter over the pasta, creating a smooth and silky texture. For that price you are serving two people a healthy and fresh lunch or dinner, however we personally felt that there was not enough in each pack. We do tend to be hungrier than the average folk, but we’re pretty sure you would need at least a pack for one person. 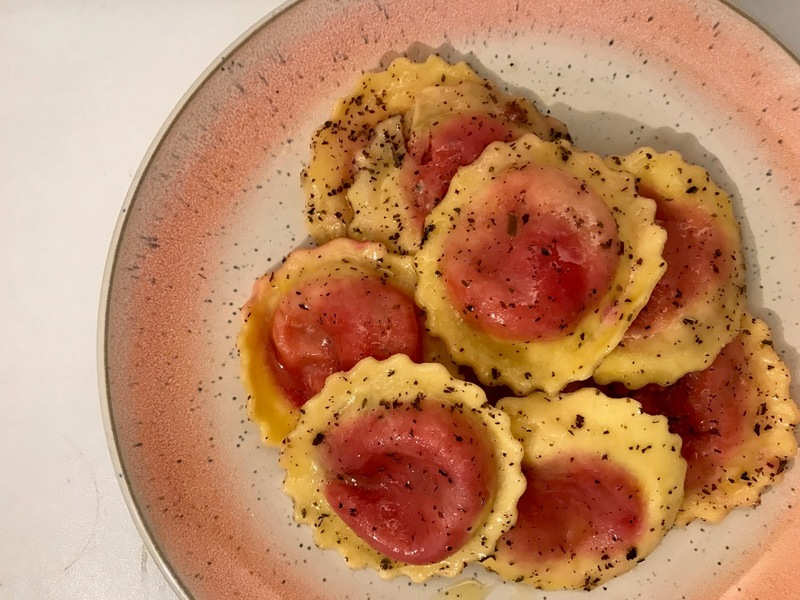 But the criticism ends there – we were lucky enough to be able to try both their Asparagus and Mozzarella Ravioli, served with lemon butter, and their Goats Cheese and Beetroot Fiorelli, served with mint butter. Both were absolutely delightful, so easy to make and we’ll definitely be heading down to the pasta aisle of Waitrose for some more the next time we’re in. We both agreed that the Goats Cheese and Beetroot was our favourite, due to the flavours being a little different to what you might expect from a pasta dish, and the bright colours certainly made it aesthetically pleasing. Also in their range is Ricotta & Spinach Ravioli with sage butter, Butternut & Squash Fiorelli with garlic & herb butter, and Tomato & Mozzarella Fiorelli with basil butter. We found Dell’Ugo’s pasta a great lunch option for the lazy Sunday we were having last weekend. For once we didn’t want to have to make meals from scratch, so this was perfect! Not only that, both packs were so delicious and with summer coming up, we imagine this could become a regular buy when we’re looking for a light lunch sat in the sun. The pasta here looks AMAZING. I am a big pasta lover! I try not to overindulge too often, but once in a while it's a nice treat to have! Cooked and served in 5 mins? It really doesn't get better than that. I would be sooo hungry right now if I hadn't just finished my dinner. Yesss, now pasta is my thing! I love it, especially when it has interesting flavours. These look so good!